CARRABASSETT VALLEY — Entering Thursday’s slalom portion of the women’s combined championship at the US alpine speed championships at Sugarloaf, the top four where bunched up together as if they were crammed into an elevator. Just .35 seconds separated fourth place Madeleine Chirat and first place Keely Cashman. Even in sport where milliseconds count, like skiing, that’s close. Hurt was in third place after Wednesday’s Super G, .25 seconds behind leader Cashman and just .10 seconds ahead of Chirat. 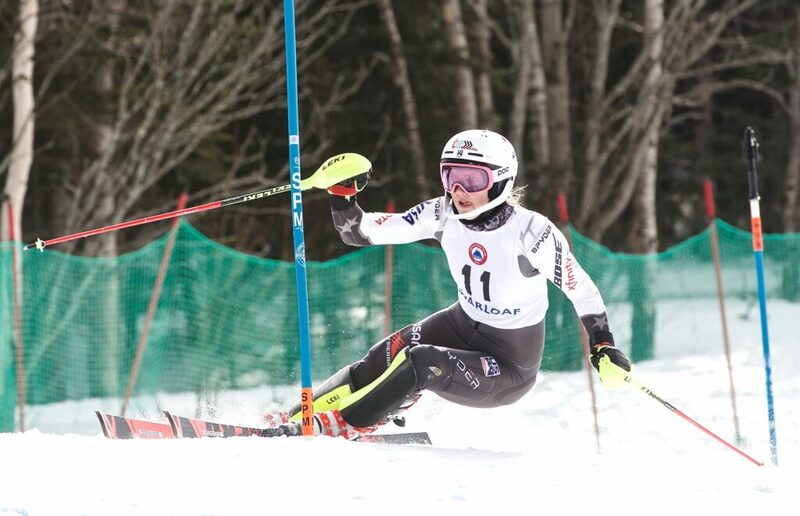 When Chirat and her fellow French teammates elected not to run the slalom Thursday afternoon, the chase for the combined title came down to Cashman, Hurt, and second place Nina O’Brien, all teammates on the US Ski Team. O’Brien ended up with the combined title. Her slalom run of 43.91 seconds was the best of the day, and when paired with her Super G (1:15.28), pushed O’Brien to the combined lead. After she completed her slalom run, O’Brien turned and watched Cashman, the final skier in the field, run the course. Standing in the starting gate, you know how close the race is, O’Brien said. You also have to push that fact out of your mind. 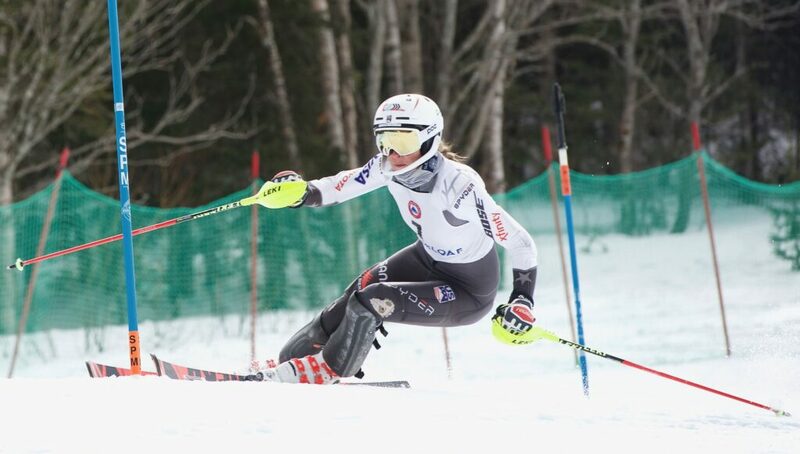 Cashman ran the slalom in 45.61 seconds, fifth-best of the day, and that dropped her to third overall. It was Hurt, skiing the slalom in 43.94 seconds — three one-hundreths of second slower than O’Brien — who benefited, and jumped into second place. Hurt finished with a combined time of 1:59.38, .19 seconds behind O’Brien.